In Canada the importance of education is very high and hence Canada is a country where one can find top quality colleges and universities. The Canadians place very high importance to studies, this being the case the Canadian government spends a lot of money to keep upgrading its education system. Canada is considered as one of the best places and is among the top ten countries to live. Canadian universities offer a wide range of programs in graduate, undergraduate and professional programs. Diploma courses are offered in specialized programs such as business, arts, hotel management, engineering and agriculture. As Canada is a bilingual country, universities offer instruction in English, French, or even both! Admissions are very competitive. If accepted they encourage students with scholarships / assistantship etc at least for the first semester. In Canada the choice is very less and very competitive. Preference is given to the domestic students. Tuition fee can be anything between $9000 to $10000 per year. The students are allowed to work outside the campus for about 20 hrs a week for them to manage their living expenses much more easily. Students can apply for immigration after the course. Canadian visa depends wholly on the documents provided. PNP – Provincial Nominee Program – Most Provinces and Territories in Canada have an agreement with the Govt. of Canada that allows them to nominate immigrants who wish to settle in that province. Provincial Nomination is an important fast-track option for Canadian Permanent Residency. For e.g. if a student studies a course from any institution from Saskatchewan, then he can apply for PR after completion of the course under provincial nominee program if the province is participating at that point of time. 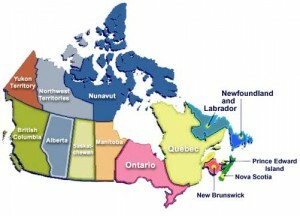 Ontario, Alberta, British Columbia, Manitoba, New Brunswick, Newfoundland and Labrador, Northwest Territories, Nova Scotia, Prince Edward Island, Saskatchewan and Yukon are the provinces which periodically participate in the Provincial Nominee Program (PNP). It accelerates the Permanent Resident application process for skilled and /or experienced workers, experienced business persons and their family members who want to settle in these provinces permanently. Parents can be sponsored to permanently reside in Canada. Besides a separate category of visa “Super Visa” is there for visiting parents and grandparents of permanent residents or citizens of Canada which is valid for up to ten years and allows parents or grandparents to remain in Canada for up to 24 months at a time without the need for renewal of their status. Express Entry is a selection system for Canadian immigration, designed to select skilled workers for immigration to Canada. It is a complete electronic process involving the federal government, provincial governments, and Canadian employers. Express Entry selects skilled immigrants through its point based system that allocates points to candidates, based on their key profile factors, i.e. age, education, work experience, language skills, etc. The Express entry involves eligible candidates to make an expression of interest in immigrating to Canada who are all entered in the Express Entry pool. Some of these candidates in the pool who are eligible are issued invitations to apply for Canadian permanent residence and take the process forward. Express Entry Canada has undergone changes on 19th November 2016 in line with the demands of International students. Now International students have been allotted additional points based on their level of education in Canada ranging from 0-30 points. There are 98 Universities in Canada. Canada has 4 universities which are in the top 100 world ranking. Apart from the above there are 9 more Universities of Canada which appear in the top 300 universities in world rankings. Programs offered by Universities in Canada are Bachelors, Masters and PhD programs. Masters and PhD Programs are available at Universities only. There are 150 Community Colleges across Canada which offer UG Diplomas, Bachelors Degrees, University Transfer programs and PG Diplomas. A minimum of 2-5 years of full-time study for doctoral programs is required after masters. Masters degrees comprise of at least 2 years of full-time studies including a thesis (a long essay based on original research), practicum (Co-op) or research paper . Generally are of 1 year duration and exceptionally of two years as well. Bachelors degree consists of four years of full-time study . A UG Diploma generally comprises of two or three years of full time study . 2 year program is a Diploma and 3 year program is an Advance Diploma. However by and large for SPP Colleges, IELTS is compulsory. To apply for a study permit on or after 1st June 2014, a international student will need to have a letter of acceptance from a designated learning institution. Each province and territory in Canada is responsible for designating educational institutions at the post-secondary level that may enroll international students on or after 1st June 2014. This list of designated learning institutions can be found on the below mentioned link. If a study permit application is made on or after 1st June 2014 and the letter of acceptance is from an institution that is not designated for international students, the visa application will be refused. Students are eligible to work part time on or off campus from day one. Study permits will automatically authorize the holder to work on/off-campus for up to 20 hours per week during the academic session and full-time (i.e. 40 hours per week) during scheduled breaks without the need to apply for a separate work permit. The study permit holder should be pursuing academic, vocational or professional training of six months or more that leads to a degree, diploma or certificate at a Designated Learning Institution. Co-op & Internship Programs: Many of the programs have inbuilt internships of one or two semesters which provides an opportunity for the student to get first hand exposure and experience in Industry relating to his or her area of study. Co-ops are for a semester or more and are mostly paid. The Post Study Work Visa provides no restrictions on the type of employment and no requirement of a job offer. Under this Program a student visa applicant who holds an unconditional admit from a SPP participating Institution and also meets other specific criteria like having a Guaranteed Investment Certificate will be put on Fast Track and stands a very good chance of Visa approval. For Courses after 12th Standard i.e. 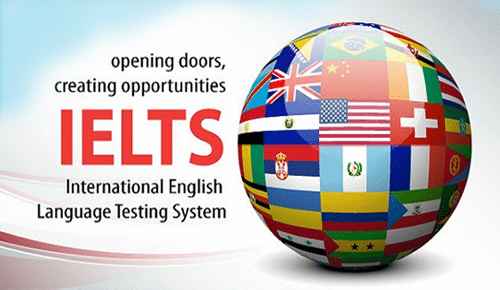 Diplomas or Certificates – standard requirement of IELTS for visa is 6.0 with no band less than 5.5. For Bachelors Degree, Post Graduate Diploma or Certificates requirement of IELTS for visa is also 6.0 with no band less than 5.5. However if the institution requires a higher score, that is 6.5 with no bands less than 6.0 or higher then, it shall need to be complied with by the student irrespective of the lower basic visa requirement under SPP.